Greek Get Down 2018 T Shirts. Please include the size you want and your sorority name (if applicable) in the text box. Size options are small, medium, large, and extra-large. 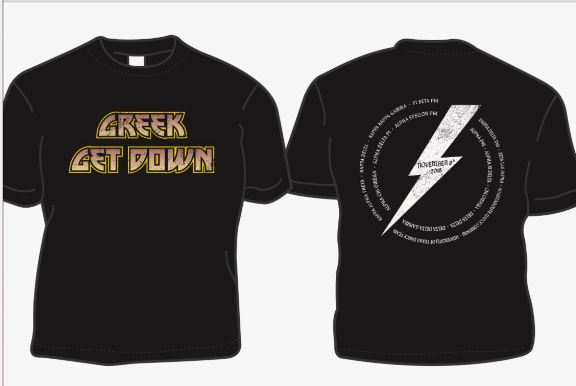 All shirts will ship to the Alpha Epsilon Phi house and will be available for pickup starting November 8th.